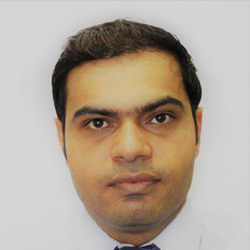 Muhammad holds a Ph.D. degree from Curtin University, WA, and is a postdoctoral fellow at KFUPM. Muhammad’s research focuses on wettability measurements of rock/fluid combinations at reservoir conditions and its implications for enhanced oil recovery. In addition, his research interests include reservoir characterization, CO2 geo-sequestration, and unconventional hydrocarbon resources. Muhammad has published over 20 articles in leading scientific journals, with h-index of 10. Arif, M., Barifcani, A., Lebedev, M., & Iglauer, S. (2016). CO2-wettability of low to high rank coal seams: Implications for carbon sequestration and enhanced methane recovery. Fuel, 181, 680-689. Arif, M., Barifcani, A., Lebedev, M., & Iglauer, S. (2016). Structural trapping capacity of oil-wet caprock as a function of pressure, temperature and salinity. International Journal of Greenhouse Gas Control, 50, 112-120. Arif, M., Al-Yaseri, A. Z., Barifcani, A., Lebedev, M., & Iglauer, S. (2016). Impact of pressure and temperature on CO2–brine–mica contact angles and CO2–brine interfacial tension: Implications for carbon geo-sequestration. Journal of Colloid and Interface Science, 462, 208-215. Arif, M., Jones, F., Barifcani, A., & Iglauer, S. (2017). Electrochemical investigation of the effect of temperature, salinity and salt type on brine/mineral interfacial properties. International Journal of Greenhouse Gas Control, 59, 136-147. Arif, M., Jones, F., Barifcani, A., & Iglauer, S. (2017). Influence of surface chemistry on interfacial properties of low to high rank coal seams. Fuel, 194, 211-221. Arif, M., Lebedev, M., Barifcani, A., & Iglauer, S. (2017). CO2 storage in carbonates: Wettability of calcite. International Journal of Greenhouse Gas Control, 62, 113-121. Al-Anssari, S., Arif, M., Wang, S., Barifcani, A., & Iglauer, S. (2017). Stabilising nanofluids in saline environments. Journal of Colloid and Interface Science, 508, 222-229. Yu, H., Rezaee, R., Wang, Z., Han, T., Zhang, Y., Arif, M., & Johnson, L. (2017). A new method for TOC estimation in tight shale gas reservoirs. International Journal of Coal Geology, 179, 269-277. Al-Anssari, S., Arif, M., Wang, S., Barifcani, A., Lebedev, M., & Iglauer, S. (2018). Wettability of nanofluid-modified oil-wet calcite at reservoir conditions. Fuel, 211, 405-414. Yu, H., Wang, Z., Rezaee, R., Zhang, Y., Han, T., Arif, M., & Johnson, L. (2018). Porosity estimation in kerogen-bearing shale gas reservoirs. Journal of Natural Gas Science and Engineering, 52, 575-581. Shafiq, M. U., Mahmud, H. K. B., & Arif, M. (2018). Mineralogy and pore topology analysis during matrix acidizing of tight sandstone and dolomite formations using chelating agents. Journal of Petroleum Science and Engineering, 167, 869-876. Ali, M., Al-Anssari, S., Arif, M., Barifcani, A., Sarmadivaleh, M., Stalker, L., & Iglauer, S. (2019). Organic acid concentration thresholds for ageing of carbonate minerals: Implications for CO2 trapping/storage. Journal of Colloid and Interface Science, 534, 88-94.